Dorm room decorating for the holidays is fun and essential to making your college dorm room feel like a home away from home. Your dorm room decorations for the holidays start with your dorm Christmas tree, but they don't have to end there. You can add more accent pieces to your dorm room decor without losing space in your college dorm room with compact dorm essentials for dorm wall art and more. For a bright accent piece that completes your college dorm room decor, add cheap dorm supplies like our 6" Purple Mini Wreath. 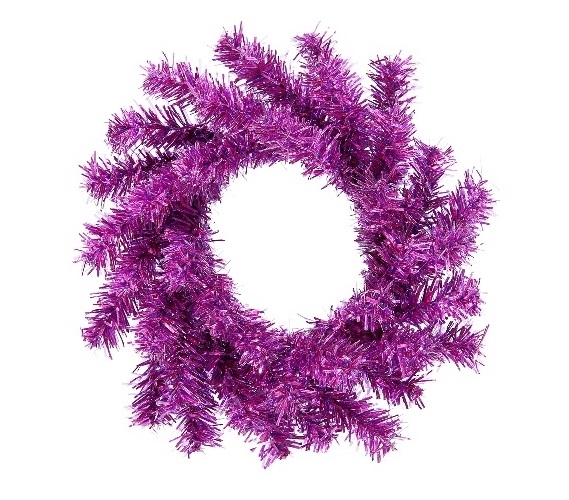 Our Purple Mini Wreath will put the finishing touches on your college dorm room decorations for the holidays. You can place this dorm essentials item on your college dorm room door for some holiday spirit right outside your college dorm room. This dorm essentials item isn't just limited to your college dorm room door! You can also place this dorm necessities item on your college Christmas tree for extra holiday decorations or you can hang it up on your dorm room wall for dorm wall art. With deep purple branches, this dorm item will add a pop of color to your holiday decorations!